Chianti is a slim sparkly sequin gown with a v neckline, low scoop back and flowing train. A slim beaded wedding dress with a v neckline. An incredible low back on this beaded bridal gown. 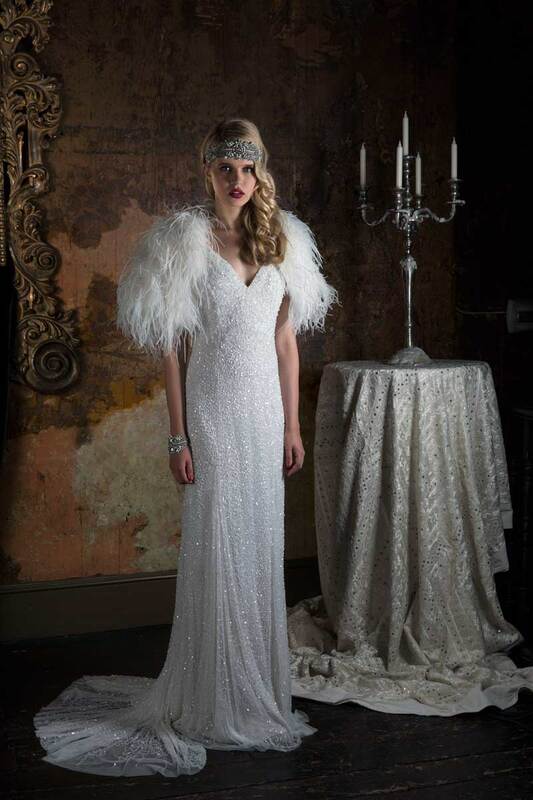 This Eliza Jane Howell wedding dress is available to view in our London and Harrogate shops.